CIFOR’s Forests News site is running a public survey to ensure that the best quality news on forests and landscapes is available to all our readers. Take a few minutes to tell us why you read Forests News, how it has impacted you, and what you’d like to see more of on the site. 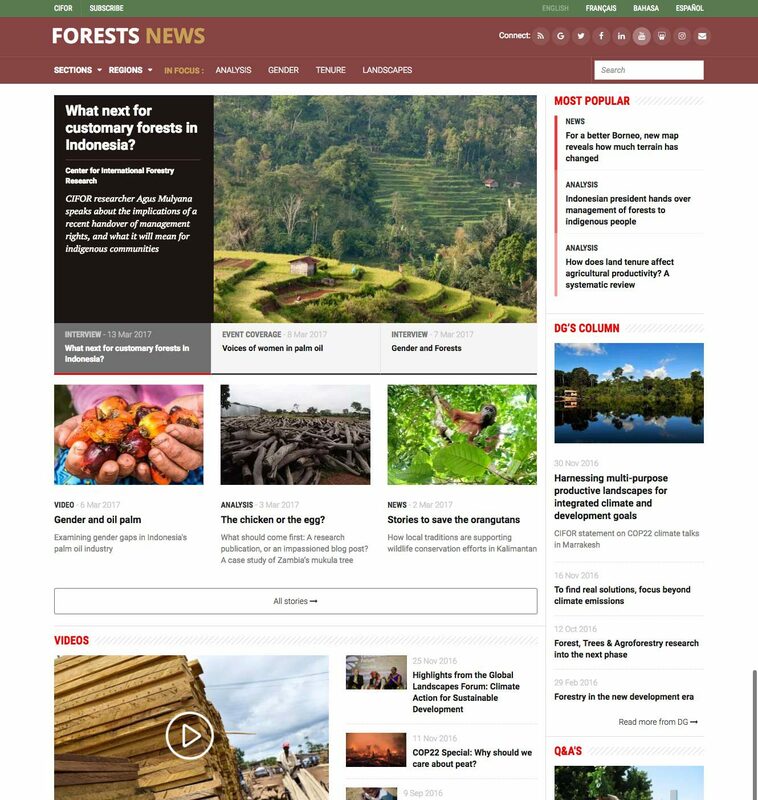 Forests News is an online news platform that disseminates the research of CIFOR’s scientists and experts through insightful and impactful multimedia news packages. Since its inception in August 2010, Forests News has amplified the reach of CIFOR’s work like no other medium. In just a few years, it has become a go-to resource for policy makers, scientists, journalists and students. In 2017, CIFOR’s Forests News site was ranked as the world’s top forest blog by Feedspot (RSS feeder) for reputation and search ranking, social media influence, and quality and consistency of posts. The readership of Forests News now averages 50,000 page views per month. All information provided in the Forests News readers’ survey will be used for internal purposes only, and will not be made available to any third party.